This is a topic that I always go through with my fertility patients, please get rid of the low fat foods…! They are more damaging than good. This piece below is from the new Zita West book Eat yourself Pregnant and it outlines the dangers of low-fat foods and trying to conceive. ‘Many women make the mistake of substituting foods containing fat with low-fat products, thinking they won’t gain weight using them. 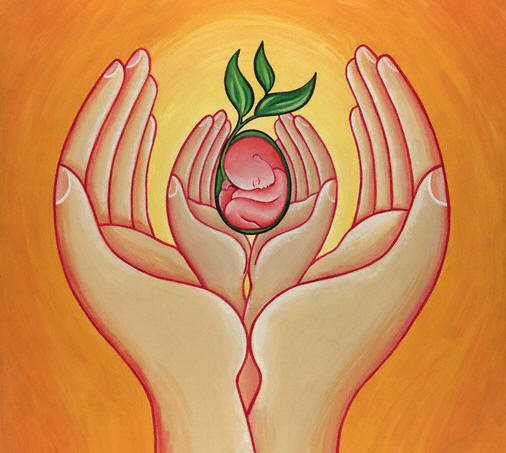 However, for fertility – and, for that matter, for weight management – the principle is flawed. These products often contain trans-fats, sugars and sweeteners. Artificial sweeteners disrupt the normal hormonal and neurological signals that control hunger and satiety. Many studies have shown that a diet that is high in sweeteners in the end leads to a greater consumption of calories and so to weight gain. Scary stuff, my recommendations are to swap all low-fat dairy with organic full-fat dairy, or use alternative dairy products such as goat’s and sheep’s products or coconut & unsweetened almond milks and yogurts. But watch out for soya products such as soya milk, as these may well have a negative effect on fertility. As part of the fertility consultation I ask my patients to do a 3 day diet sheet. I then make individual detailed nutritional suggestions for the patient to help them conceive. 6 Week Detox Program finishing with a 2/3 day juice fast – This is a gentle program that will change your lifestyle and make you glow from the inside out. Well done, hopefully you have survived week one of my detox. Well, how was it? Did you manage to keep away from the white wine? Even if you slipped up you should carry on with the detox program, as each week is accumulative you will continue to stay clear of alcohol. This week the item to eliminate is caffeine. This is going to be tougher as caffeine is an everyday item, the main culprits being coffee & tea. As you can see from this, it’s not just tea & coffee that you have to eliminate from your diet. Sorry the chocolate has to go…! As you may know, green tea has many health benefits but I will come back to these at a later date, for now all you need to know is that it contains caffeine so it’s a no, no. It’s all about the herbal tea’s, these days the shops are filled with so many flavours and you will be surprised at how good they taste. I recommend that you get yourself a ‘Tower of Tea’, below is mine, I’ve been an herbal tea addict for a long time and I’m always finding new flavours. My new favourite is from a brand called Clipper and is an Orange & Coconut flavour – tasty. Caffeine is a drug. It’s addictive, gives you a sudden rush of energy and offers you a bit of a high, which is usually followed by a bit of a crash. Once you start to feel the crash, more caffeine is needed to maintain stimulation. But the biggest sign that caffeine is a drug is that when you have a go at detoxing from it, you will experience crazy withdrawal symptoms. Headaches, nausea and moods so bad…this is what prolonged periods of abstinence can do to the caffeine addicted. Drinking coffee is a ritual and symbol of important, busy people. The more responsibilities we have, the bigger the cup of coffee we need to carry around with us. I never drank Coffee until I started studying to be an Acupuncturist & Naturopath, I think that it was the working full-time and studying that did it. I managed to give up coffee and black tea this time last year whilst doing this detox, I’m still partial to a bit of dark chocolate now and again. The more stress we have in our life, the more caffeine we drink. It’s a vicious cycle. We need caffeine to keep up with the pace of modern life, but if coffee is your choice, itself actually helps to create nervous energy. Coffee wakes us up and gets us going, but over time this unnatural stimulation of our nerves creates stress levels that wreak havoc on our immune systems, hormones and our adrenals. It is widely known that caffeine enhances alertness and concentration, but the negative effects are pretty well downplayed. The health risks include inhibiting the absorption of essential minerals like iron, magnesium and zinc as well as B vitamins. Many studies have also linked heavy coffee consumption with higher risks for miscarriages, osteoporosis and heart disease. 1. Drink more water – you can help to flush out the caffeine in your system by drinking a lot more water throughout the day. 2. Try Dandelion and Chicory root blend tea – this tea is a great coffee substitute as it looks like coffee and it still has a rich flavor. You can also add oat milk or almond milk if you prefer it creamy. This stuff is rich in minerals, provides energy and is also known for its detoxifying properties. 3. Get plenty of rest – when you take caffeine away, your body won’t know what’s hit it. Without that false energy, you will most likely feel tired and more lethargic than usual. Be gentle with yourself and honor your body with more sleep and rest. Menopause should be a time to embrace the changes in the female body, not a time of dred, the word alone can send cold chills (or hot flushes) down the spine of many women! But does it really have to be that way? Is there anyway to maneuver through menopause and maintain one’s sanity? Acupuncture and Naturopathy can have a positive impact in this transitional time. Although by definition the date of a woman’s last menstrual period; the term menopause commonly refers to the period of change, when the egg supply becomes exhausted and the levels of the hormones oestrogen and progesterone fall. Ovulation and menstruation become less frequent and eventually stop. This usually occurs between 45 and 55 years of age and constitutes a major transition period for most women. It can also happen at a younger age. bone loss of calcium may also occur. However, many of these symptoms are also the natural side effects of ageing. Hot flushes and night sweats are experienced by more than 85% of menopausal women with varying degree of severity up to ten years after their last period. They occur because the brain decides that the body is overheated and responds by increasing the blood flow through the skin. The heated skin reddens and begins to perspire. The symptoms rise to a peak over about 4 minutes and then decline during the next 15 minutes accompanied by cold chills. Hot flushes are often accompanied by an increased heart rate and palpitations. Although harmless they can be very uncomfortable and distressing. Night sweats often cause frequent interruption of sleep, contributing to fatigue. The repair and maintenance system of bones is mainly controlled by hormones, including oestrogen and progesterone. As levels of these hormones fall, bones begin to deteriorate and loose density. Osteoporosis literally means: “bone that has holes”. It leads to an increased risk of fracture especially of the spine and long bones of arms and legs (hip fractures). It may cause pain, especially in the lower back, loss of stature, and various deformities (Dowager’s hump). Osteoporosis is a complex condition which also involves lifestyle and nutritional factors, and prevention is much better than cure. Long term poor diet, emotional stress, and lack of exercise may lead to an increase in menopausal symptoms. Eat a wholesome diet predominantly based on fresh organic foods. Prepare your own meals whenever possible. In Chinese medicine, the consumption of cooling foods is recommended. Such foods are wheat germ and its oil, mung beans, mung bean sprouts, string beans, seaweed, spirulina, millet, black beans, tofu, kidney beans, barley, black sesame seeds, fenugreek seeds, saffron and cold sage tea. Increase plant foods high in natural oestrogens (phytoestrogens). These include: soya products (don’t over-consume), flaxseed oil, flax seeds, nuts, whole grains (such as brown rice), apples, fennel, celery, parsley, and alfalfa. Maca powder has been proven to help reduce menopause symptoms and has been named the natural HRT. Blood sugar control is also very important for hormone balance. Drinking plenty of water keeps the body vital and young. Increase amounts gradually to about 1.5 to 2 liters per day. For more advice of foods to eliminate and increase please contact me. Endorphins are the body’s own mood-elevating and pain-relieving compounds. They are also thought to relief hot flushes. Regular exercise enhances endorphins and has many benefits on health of bone and the cardiovascular system. It reduces stress, boosts the metabolism, increases energy levels and assists in achieving and maintaining normal body weight. In addition exercise may also help mobilise some stored estrogen, which may make for an easier transition. Exercise in average 3 – 4 hours per week; Combine aerobic exercise, such as brisk walking, cycling, swimming with toning and strengthening exercise such as Yoga and Pilates. Learn to adopt less aggressive attitudes. A relaxed, un-stressful life will greatly help overcome menopausal symptoms. 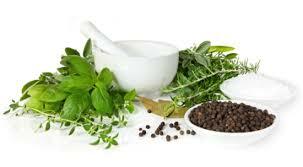 Much of the effect of herbal medicine is thought to be a result of phytooestrogens in the plants and the plants’ ability to improve blood flow. Gingko Biloba: Improves blood flow to the extremeties and to the brain. Red Clover and Korean Ginseng may also help because of their oestrogenic effects. Combining all of the above is thought to produce greater effect. For advice on recommended amounts please contact me. Keep a record of your hot flushes and see if there is a pattern developing. Relaxing during a hot flush can diminish its intensity. Keep a sponge and a bowl of water near your bedside to cool yourself down easily. Acupuncture can help women suffering from the most common symptoms of menopause, it is claimed. A study suggests that Acupuncture can curb the severity of hot flushes and also relieve mood swings among women receiving it regularly. Hot flushes can suddenly produce an uncomfortable feeling of intense heat, while frequent flushes at night can disrupt sleep. The symptoms are caused by the dilation of blood vessels in the skin and are linked to hormone imbalances, but they are still not fully understood. Medication proven to combat flushes includes Hormone Replacement Therapy and some antidepressants, which appear to damp down the body’s blood vessel system. In the study, which was published in the journal Acupuncture in Medicine, Turkish researchers looked at 53 menopausal women. Twenty seven received acupuncture twice a week for ten weeks. This involved placing needles at certain points on the body to boost energy and release endorphins, the body’s natural painkillers. The remaining volunteers were given ‘dummy’ acupuncture with blunted needles. At the end of the trial, those receiving genuine treatment had lower scores for the intensity of the hot flushes and mood swings they experienced – which progressively improved over the treatment period – compared with those given dummy needles. The researchers said the effect on endorphins might curb flushes by stabilising the body’s temperature controls, but they were unable to say how long the effect lasted after treatment finished. The researchers admit the trial was small but claim that Acupuncture is worth trying for menopausal women unable or unwilling to use HRT. Please contact if you would like any further information or to see how I can help you. Delighted to have an article published in the Summer edition of the Rude Health magazine. It explains the basic ideas behind Acupuncture and how it can help male & female fertility to help couples conceive. It also includes a testimonial from one of my male fertility patients on how Acupuncture and Naturopathy helped him and his partner get pregnant. If you want to know how I can help you, please feel free to contact me. No one should have to live with depression, unfortunately powerful prescription drugs such as Prozac can be almost as intolerable, not to mention expensive. Happily, nature has provided a whole range of gentler antidepressants such as St. John’s Wort, 5-hydroxytryptophan, S-adenosylmenthionine, tyrosine, phenylalanine and folic acid, among many others. Considerable research indicates that these herbs, biochemicals and nutrients can often counteract clinical depression as efficiently and effectively as prescription drugs, but with fewer side effects and a more modest price tag. Unfortunatly there are restrictions on many of these natural remedys depending on where you live in the world, this is where acupuncture alongside basic naturopathic principles such as the correct diet and lifestyle advice comes in and can have a profound effect on your mental well-being. In general, acupuncture is believed to stimulate the nervous system and cause the release of neuro-chemical messenger molecules. The resulting biochemical changes influence the body’s homeostatic mechanisms, thus promoting physical and emotional well-being. Studies indicate that acupuncture can have a specific positive effect on depression by altering the brain’s mood chemistry, increasing production of serotonin (Sprott 1998) and endorphins (Wang 2010). Acupuncture may also benefit depression by acting through other neurochemical pathways, including those involving dopamine (Scott 1997), noradrenaline (Han 1986), cortisol (Han 2004) and neuropeptide Y (Pohl 2002). Stimulation of certain acupuncture points has been shown to affect areas of the brain that are known to reduce sensitivity to pain and stress, as well as promoting relaxation and deactivating the ‘analytical’ brain which is responsible for anxiety and worry (Hui 2010). Stress-induced changes in behaviour and biochemistry may be reversed (Kim 2009). If you would like to discuss with me how Acupuncture and Naturopathy can help, please feel free to contact me. Acupuncture offers an effective drug free treatment so you can smell the flowers. Acupuncture is different than taking a pill, it helps to reduce pain and inflammation. But rather than adding a medication that will temporarily block a receptor, histamine in the case of allergies, acupuncture works to regulate the body’s functioning. The goals is for long term improvement from the acupuncture treatment. The idea is that acupuncture helps to reset the body and remind it how to be healthy. As balance is achieved, your body is able to maintain the healthy state without medications. So instead of simply suppressing the body’s reaction, it works to correct the root cause of the problem. Acupuncture has its own view of the body and health. Acupuncturists look for an imbalance that is causing of allergies. Qi is the body’s vital energy, it gives you the power to work, study, exercise, and fight illness. In acupuncture, the cause of allergies is often a qi imbalance. There are two major qi imbalances. The most common one for allergies is when there is too little qi, we call this a qi vacuity. When your qi is vacuous, you feel tired, can get colds easily, may have poor digestion, coughing, wheezing, and possibly asthma. The acupuncture works to boost up your qi, giving you more energy and protecting you from allergies. The second imbalance is called qi stagnation. This is when your qi does not circulate well. This is often caused by stress, and can cause pain, headaches, menstrual cramps, and in some cases, bring on asthma attacks. Inflammation is a cause of allergies and chronic sinus pain. 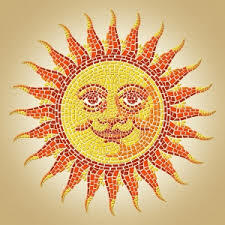 In acupuncture, this is often related to an imbalance called heat. Heat can cause dryness, irritation, and pain. This is often common in chronic sinusitis. An effective acupuncture treatment is based upon a specific and accurate diagnosis of the imbalance and by targeting the exact root of the condition leads to the most successful treatment. I combine acupressure with the acupuncture to create greater results and a stronger sense of relaxation. Usually people will feel some relief after only a visits. Acupuncture helps to reduce inflammation and increase circulation. 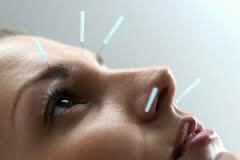 Acupuncture also helps to regulate the brain to reduce pain, so it is also possible that is another way it works to help regulate the immune response to allergies (2). 1. Marcus MB. Seasonal allergies could spark depression, fatigue. USA Today. 3/18/2008.2. Napadow V, Ahn A, Longhurst J, et.al. The Status and Future of Acupuncture Mechanism Research. J Altern Complement Med. 2008 September; 14(7): 861–869. A question on the minds of many women trying to get pregnant is whether the caffeine in their morning cup of coffee affects their fertility. Additionally there is evidence that coffee drinking in men and women increases miscarriage rates and that caffeine intake during pregnancy has a negative influence of fetal growth. (3) Most studies indicate that it is the consumption of 300mg or more of caffeine daily that can lead to fertility problems, it is estimated that most Americans drink more that 350mg per day, as we are not far behind America in the obesity epidemic I assume that the figure for the UK & Ireland is similar to this. So, coffee drinkers having difficulty falling pregnant are advised to reduce their intake significantly and find alternatives to their morning and afternoon fix. 6 Week Detox Program finishing with a 2/3 day juice fast – This is a gentle Naturopathic programme that will change your lifestyle and make you glow from the inside out. Well done, I know I need a pat on the back for completing the last 6 weeks. Eliminating some of those foods groups was tough, now complete the programme with the 2/3 day juice fast. As I have said before Spring is the perfect time to cleanse for overall health and well-being! According to traditional Chinese medicine, Spring is when your liver is particularly activated. Like any irrigation system, things build up, and the system can tire under strain. Ours is no different. When this organ functions smoothly, physical and emotional activity throughout the body also runs smoothly. By eliminating alcohol, caffeine, meat, dairy, wheat/gluten & sugar you have done a lot of the hard work. The reason for doing the elimination over a long period of 6 weeks is so that you have gently cleansed your body and hopefully you won’t have a major healing crisis/reaction to the fasting. You can expect some on the normal fasting side effects, headaches, feeling cold, tired etc… Try not to do too much over the 2/3 days. You may have some side effects because the toxins in your body are being dumped into your blood stream and they will take 24 – 72 hours to clear through your system (Kidneys mainly). You can do gentle exercise, yoga and walking is OK but make sure you keep warm. You can refresh with my earlier blog for the benefits of detoxing and fasting. Juicing is the key to radiant skin and health. Also referred to as “cellular cleansing,” juicing is preparing and drinking fruit and vegetable juices. A juice fast is great way to nurture your body, rebuild your immune system and restore yourself to a healthy way of living. Raw fruit and vegetable juice contains many cleansing elements such as minerals, vitamins, enzymes and antioxidants to heal and detoxify the body safely. Little energy is used by your digestive system during the cleanse, allowing the body to focus on rebuilding, renewing, and healing. You might be surprised by how much energy you have. The many health benefits of juicing far exceed those of eating solid fruits and vegetables. At the most basic level, juicing gives us the opportunity to add far more vegetables to our daily diet. Juicing allows us to up the amount of raw food we consume which gives the body energy and boosts the immune system and the body’s cleansing process. Green juices contain lots of chlorophyll which is significantly effective in detoxifying our bodies. Chlorophyll can help make our bodies strong by detoxifying the liver. This detoxification will purify and help to rebuild our blood cells, remove mold, parasites and toxins from the body. It is necessary to strain the juices to ensure that solid pieces are not consumed. Solid food will encourage the digestive process to begin again and will make you hungry. This is not desirable. If you feel like you need more juice, more calories, or are a little low in blood sugar, you can repeat any of the juices during the same time period of any given day, I would recommend 3-5 juices per day. Most juices contain about 100-200 calories and are packed with vitamins and minerals. Also allow yourself to drink non-caffeinated Herbal teas. 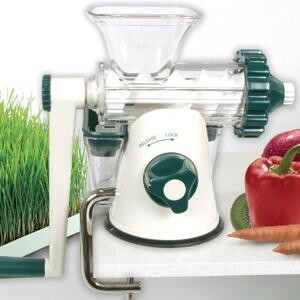 Earlier in the week I recommended this great value juicer, you can get almost anything through it as long as harder fruits and vegetables are chopped into smaller pieces. If you do not have a juicer you can use a blender and strain out the pulp. Fruits are the cleansers and being very alkaline are good to do first thing in the morning and vegetables are the builders and good to do in the evenings. Avocados and Bananas do not juice well. Remember you can use herbs; mint and parsley are great in juices, also ginger. 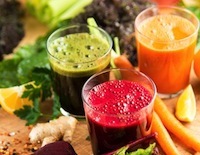 Please feel free to make up your own juices, more veg than fruit and try not to mix fruit and veg together as they impair digestion, exceptions to this are carrots (which break down simple sugars very quickly) and apples, which can comfortably be mixed with vegetables because of the higher starch content. Both fruit and veg are high in Potassium and Magnesium so even though you may find this hard you are doing your body the world of good. 1. 1 Carrot grated, ½ Cucumber, 2 medium Beetroot, handful of Spinach or Kale & 2 Celery sticks and add Ginger and the juice of a lime to taste. Please feel free to make up your own and remember to dilute all juices with equal parts of clean filtered water. 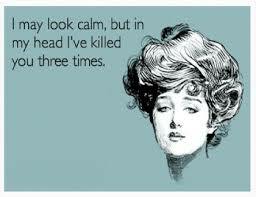 When you have competed the 2 days, please ease yourself gently back into the world. Lots of soups and stews, nothing processed and see how much you can keep eliminated from your diet. If your ever feeling like you have slipped back into your old routine you can just do a 2 day juice fast but watch out for the side effects!! 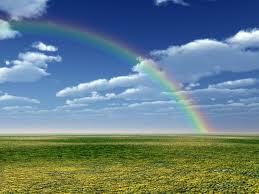 Hope you feel well and full of vitality! Well done, week 6 already, I don’t know about you but I feel great, my skin is clearer, I’ve lost a few pounds but the main thing is I feel alive. It has been tough but the good thing about this Detox is that it has been slow and hopefully some of the lifestyle changes you have made during this programme will become permanent. I know that is the case for me. Now it’s time to ditch the fizzy drinks, any processed cereals and bars (the added sugars in some of the ‘healthy’ bars is phenomenal), sweets (these must go! ), concentrated juices and squash, dried fruits and jams and many high sugar fruits such as Apples and Bananas. Low Fat Yogurt/Dairy – When manufacturers take the fat out of dairy they have to replace the taste and texture with something – that something is sugar. A ‘natural’ low-fat individual tub of yogurt can contain six teaspoons of sugar! ‘Low-fat’, ‘sugar free’ and ‘no added sugar’ labels are in fact full of sugar (fructose) and are highly fat creating; the ‘full-fat’ option is by far the healthiest! Agave – This is a fashionable sugar-substitute and is made from a South American plant and marked as ‘low-GI’ and healthy. Beware; this is 70-90% fructose. Muesli – Some muesli’s promoted at low-fat and healthy have recently been found to contain more sugar than Coco Pops – up to 44% sugar. Dried Fruits, Dates & Goji Berries – Any product containing a lot of dried fruit is going to be full of fructose. When you take the water out of fruit your left with a lot of sugar – about 50-70%, Dates are the worst culprits. Fruit Juice – A 375ml glass of Apple juice contains the same amount of sugar as the same glass of Coca-Cola – about 10 teaspoons. Some Vegetable juices such as Carrot and Beetroot are also high in Sugar. Eat your vegetables and fruits whole, Apples and Bananas are the worst culprits and Berries and Kiwis are the best. Sugar comes in two halves – normal table sugar comprises of 50% glucose – which is safe (in moderation) and is easily metabolised by our bodies – and 50% fructose. Fructose is the issue. So when we say “sugar”, we are referring to the fructose component. There is good sugar and bad sugar? There’s safe and unsafe sugar. Glucose and lactose (in milk) are safe – they contain no fructose. They occur naturally in a lot of foods. Fructose, however, is, always bad. And fructose is fructose, whether it’s consumed in “healthy” forms or not – the body reads it the same way. Honey is 40% fructose, agave is 70 – 90% fructose… these are often labelled as “good” or healthy sugars when they’re clearly not. Fruit contains a lot of fructose too, but if consumed whole, the water and fibre content offsets things a little (although studies show we really should only be eating one to two pieces of low-fructose fruits each day). What are some of the negative effects of too much sugar? Weight gain is an immediate one. Fructose goes straight to the liver as fat. The issues spin off from there, primarily metabolic syndrome, which leads to diabetes, cholesterol issues and heart disease. Studies now link sugar to all these “modern” diseases, all of which have risen at the same rate as our sugar consumption. My main aim of this detox programme is to quit sugar for good; there is an article in the Observer today titled ‘Is Sugar the new Tobacco?’ This is so true, look at the obesity epidemic that is apparent everywhere you look and especially with Children, re-education is needed to reduce our sugar intake and take charge of our health. Eliminating Sugar will not only help you lose weight, lift your energy levels and get glowing skin it will have huge health benefits and help prevent against diseases such as Diabetes and Cancer’s. I have discovered this woman in Australia called Sarah Wilson, she has an amazing book called ‘I Quit Sugar’, it really is amazing makes you realise the tasty things that you can create without sugar. So good luck with this week, there will be updates throughout the week and on how to prepare for the 2 day juice detox.